Finally, a fun and easy way to get your children to eat more fruits and veggies—and cook everything themselves! Youngsters will learn all about nutrition and healthful living as they cook their way through the rainbow with yummy recipes like Blueberry Pancakes, Sweet Potato Fries, and Pineapple Sherbet. 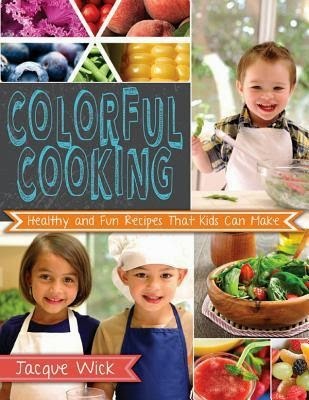 Each recipe includes nourishing, colorful ingredients and step-by-step photos to guide your child to a lifetime of wholesome eating. 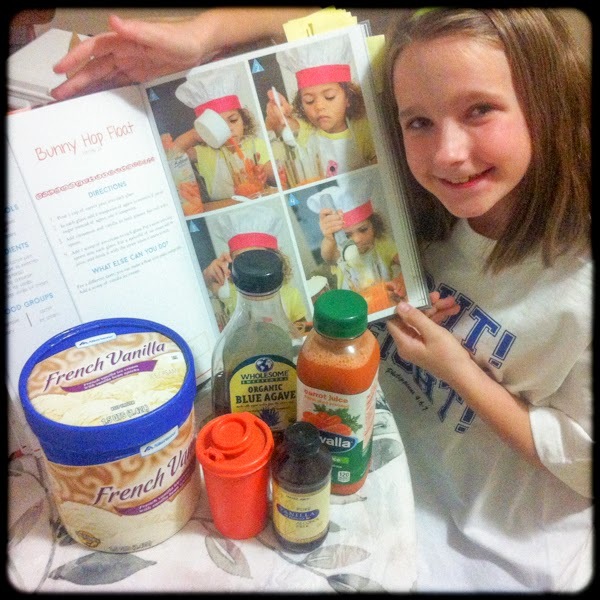 This is such a fun book for cooking with kids! The recipes have at least one ingredient to make the finished product colorful- like adding broccoli and carrots to a quesadilla. The sections are divided by color, with three to four recipes each. My 8 year old daughter instantly busted out the sticky notes and marked the recipes she wanted to try first... and twelve sticky notes later she had a hard time deciding what to make for our review :) She finally chose the "orange" recipe called Bunny Hop Float, which consisted of spicing up carrot juice with cinnamon and vanilla, sweetening it with a little agave nectar, and dropping in a scoop of ice cream. 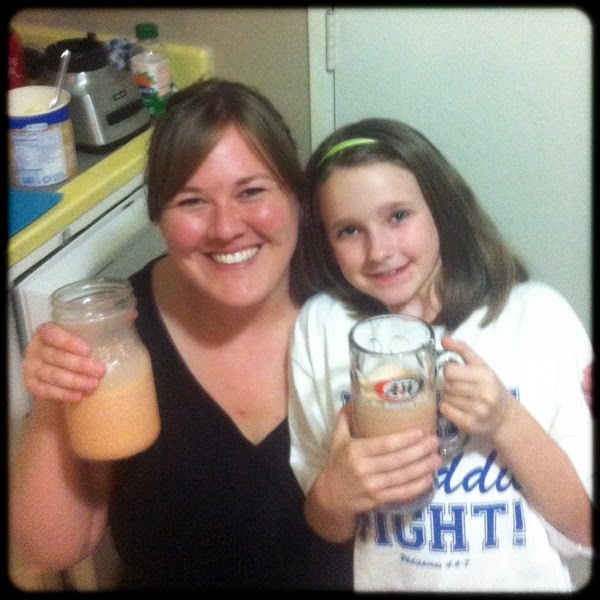 For some reason I kept calling it Bunny Hop Shake in my head, so instead of making a float we blended it... oops! We had so much fun together in the kitchen and look forward to trying several more recipes from Colorful Cooking! The pictures are bright and professional, the ingredients simple, healthy, and tasty, and instructions easy to follow. I definitely recommend this book to anyone looking to spend time in the kitchen with their kids and want to keep it stress-free for mom and fun for kids.